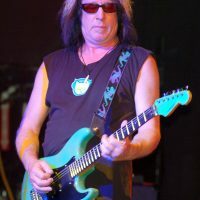 Todd Rundgren is an American singer, songwriter, and multi-instrumentalist who is well-known for developing a diverse range of musical styles, inspired by pop-rock, hard rock, baroque pop, classic rock and roll, Broadway musicals, R&B, and many other genres. He has formed several rock bands in which he performed as a multi-instrumentalist as well. This rock and roll maverick has tasted success with many of his albums. He is known for experimenting with music, starting with straightforward ballads and then departing totally from ballads to embrace progressive rock. When he realized that his initial albums were not technically sound and lacked professional engineering, he felt the need to learn audio engineering and production. Even though Rundgren was initially a teetotaler and refrained from using drugs of any kind, he eventually began using various mind-altering substances at the insistence of his friend in order to enhance his creativity. He is a pioneer not only in the field of electronic music, but also in music video production, computer software, and online music distribution. His career as a record producer has also been a successful one, and many singers have credited him for launching their careers.